Maybe you woke up, the mice cleaned the house in the night, the birds were singing your favorite song, and Prince Charming even put the toilet paper on the holder right. It appeared as though your day was going to be perfect. And then…. Your brain started listing all the the things the mice didn’t do, weren’t capable of doing, how the birds were off-beat and how your Prince has it so good while you slave away with all you have to do or are responsible for. Today is not an alright day for you. But what if it could be? There are more than 40 million adults (19% of the population) struggling with anxiety; nearly 1 in 3 adolescents (31% of adolescents) struggle with anxiety. That’s a lot of anxiety floating around! You may be wondering what’s causing the chaos. 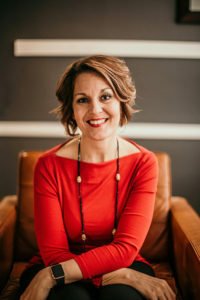 Dr. Jean Twenge reports three theories for people suffering more now with anxiety: First, our connections are weaker to community and others. We try to live a ME world and believe WE can do all things by ourselves. In the terms of a good Ol’ Southerner: HOGWASH! We are not designed to be on an island by ourselves. We were built for connection. Next, Dr. Twenge observes that we often are focused on items such as money, fame, and image. What does this have to do with anxiety? What’s wrong with wanting money, fame, and fortune? Nothing, per se. However, how much control do you have in receiving all that? Not much, but most of us will control until we think we can get it. And the more we try to control, the more anxious we become because we become more aware of how out of control we really are. Lastly, Dr. Twenge notes that our expectations are too high. I often tell people, “We have expectations of ourselves that not even God has of us.” Not only do we hold ourselves at too high of expectation, but also our family, friends, etc. Time and time again, when those expectations are not met, we find ourselves disappointed and possibly “unsafe,” unsafe to trust others to rise up to what we believe they should do. What do we do about this anxiety? Anxiety is listed as one of the most treatable mental diagnosis, yet it is a diagnosis for which people are less likely to seek treatment. Why is that? The American Journal of Psychiatry did a survey and reported the following reasons for not seeking treatment: 1) people believed they could handle the situation or stress; 2) Believed treatment would not be beneficial; 3) Cost; 4) Fear of what family and friends would think. What’s amazing about all these reasons is that they feed into the theories previously listed! Anxiety is not a battle you need to fight alone. No battle is won by one. Ask for help. Children are modeling their parents/caregivers responses to emotions. What better to model than to ask for help when you need it? 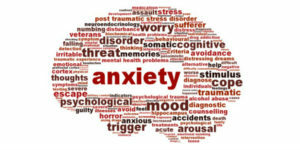 We at CDC can teach you coping skills to help you manage your anxiety and techniques to manage stress that can lead to anxiety. In addition, we can work with children through Play Therapy and other therapies to help them cope with some of the unknown “tickles” in their brain that keep them awake at night. In the words of Walter Anderson, “Nothing diminishes anxiety faster than action.” If you ask for help, we will answer. Your Body Speaks…Are you listening?